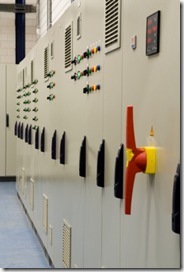 The New Switchgear Standard The new standard IEC 61439 replaces the old 60439. Compared to the old standard, the new 61439 is a more clearly defined and takes into account the assembly of pre-tested designs. . Some key differences are that the distinction between type tested assemblies (TTA) and partially type tested (PTTA) is gone, verifying the performance is addressed in new ways and the specification of current ratings is updated. Within the 61439, current ratings are clarified and more clearly defined.t ratings. The standard defines the overall rated current of the assembly (Ina) as the smaller of the sum of rated currents of incoming circuits or the total current the main busbar is capable of distributing. The rated current of a circuit (Inc) is the rating of a circuit taking in to account the installed devices, disposition and application (and may be lower than the rated current of the devices used). A rated diversity factor (RDF) is assigned by the manufacturer to groups of outgoing circuits which can be simultaneously loaded and takes into account the mutual thermal influence between the circuits. This can be applied to the whole assembly or a group of circuits. This clarification of ratings ties the consideration and specification of a switchboard more closely into the manufactured product. Personally I think is a good thing. It does put more emphasis on specifiers to understand how the assembly will perform and what they want out of it. The standard will change how specifiers state their requirements. Currently specification is often carried out based around devices (i.e. 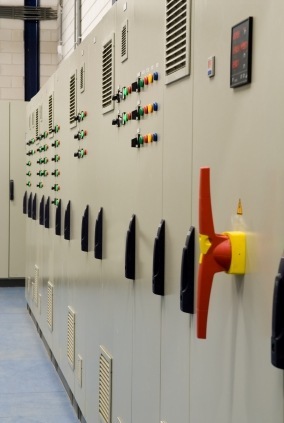 circuit breakers from a particular manufacturer for example), with the device ratings being applied to switchboards. This is not the case any longer. There is now a clear need to consider the effect of the enclosure and surrounding components in addition to those of the protective devices and trip units.